At first glance, the census data appear to demonstrate that the UK Jewish population has grown over the past ten years. The figures released by the Office for National Statistics (ONS) last week show a Jewish population of 263,346 for 2011, compared to an equivalent count of 259,927 for 2001. The increase is small – just 3,419 people or slightly more than 1% - but it is an increase nonetheless. However, before we start claiming that the UK Jewish population has risen, we should be conscious that these figures (both for 2011 and 2001) are just for England and Wales. We don’t yet have 2011 data for Scotland or Northern Ireland, although regional demographic trends suggest that the Jewish populations of both will have declined somewhat since 2001, thereby potentially offsetting part of the small increase we see for England and Wales. Moreover, neither of the numbers quoted above for England and Wales take into consideration the undercount. The religion question on the census form from which all this data is derived was voluntary. People did not have to answer it. So as in 2001, the 2011 figure needs to be adjusted to account for that. We know that in 2001 Jews chose not to answer the question in slightly higher proportions than the UK population as a whole, but we don’t yet know the proportions for 2011. Until further data are released by the ONS next year, it is impossible to draw reliable conclusions. In addition, people could identify themselves as Jewish by ethnicity on the census form, and, in 2001, 2,594 people who did this did not identify themselves as Jewish by religion. The equivalent 2011 figure needs to be added to the overall count, and even a small reduction from the 2001 number could potentially affect the current picture of growth. In short, at this stage it is too early to draw any conclusions. Until it is possible to accurately calculate the size of the undercount and add in the Scotland, Northern Ireland and ethnicity figures, we should keep the champagne on ice. Nevertheless, it seems probable that the UK Jewish population has at least remained static over the past ten years. This is an extraordinary finding in and of itself. The UK Jewish population has been declining for over half a century; it reached its historical peak of approximately 410,000 in the mid-1950s, and has contracted ever since, to an estimated 291,000 in 2001. The decline has been reflected in the titles of books such as Wasserstein’s Vanishing Diaspora and Sacks’s Will We Have Jewish Grandchildren?, both of which capture the dominant narrative of recent decades. The British Jewish community is on its way out. Slowly but surely we are withering away. Yet these data appear to challenge that story. It seems we may not be doing so badly after all. The question is, why? And the answer, while still requiring more detailed data to really substantiate it, can begin to be discerned by looking at what is going on in Jewish populations at the local and regional levels. Three Local Authority Districts in particular stand out: Hackney, Salford and Gateshead. Taken together, the Jewish population of these three places – all centres of the haredi population – has increased by 50% in just ten years. This corroborates with other data on haredim which show a doubling of numbers over the past eighteen years, and probably can be largely explained by a simple factor: babies. In many respects, the demographic equation is very simple: if the number of births outstrips the number of deaths, the population will grow. And this is exactly what is going on in the UK’s haredi population in an extraordinary way. Household size figures capture it perfectly. The average household size in the UK is 2.4 people; in the haredi population of Hackney, it is estimated to be 6.3. In contrast, other parts of the Jewish population are not faring so well. The combined populations of Harrow, Redbridge, Camden, Westminster and Brent, all of which appeared in the top ten Jewish population centres in 2001, have declined by 21%. Provincial communities show a similar pattern – Leeds, Brighton and Hove, Liverpool and Southend-on-Sea have collectively declined by 19%. The hypothesis in all these cases is much the same: first, death rates outweigh birth rates, and second, a proportion of the affiliated and engaged is migrating to the growing centres of Jewish life, particularly Barnet and Hertsmere. Other factors are certainly at play, but when we look at these patterns together, it seems possible that growth in the haredi and strictly Orthodox sectors could be counterbalancing decline elsewhere. What this means is that the character of the British Jewish population is changing, and likely to become more Orthodox over time. While long-term projections should be made with caution, it seems entirely probable that the British Jewish community of the future will look rather different to that of today. This has important policy implications for all Jewish charities, schools, synagogues and local organisations. We remain a small community – just 0.5% of the UK population – with limited human and financial resources. How we deploy these is critical to our future. Policy makers at all levels should look at these data to inform their thinking and planning. An empirical understanding of Jewish population trends can help us to make good, informed decisions that both honour our past and build our future. 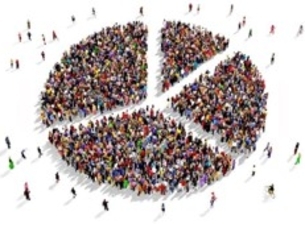 As more census data are released in the coming months, the scope to understand community dynamics at the local level will become increasingly refined. 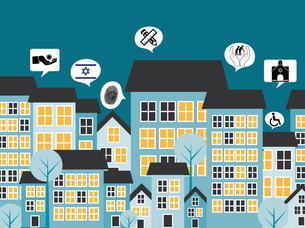 The National Jewish Community Survey (NJCS), a JPR project planned for early 2013, will add depth and nuance to our collective understanding. By next autumn, we will have sufficient access to both datasets to generate data tables and charts to assist organisations working across the community. 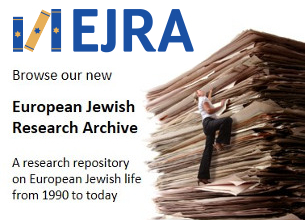 The UK Jewish community is extremely fortunate to have access to data of this quality and accuracy – very few Jewish communities worldwide are in our position. Let’s make sure we use them well.